Lifeguard training and lifeguard certification courses include sub courses that teach a certain set of skills. Trainees learn these skills and become competent enough to take action during the time of an emergency. One needs to know how to stay safe in water and what to do during a prolonged situation of an emergency. For instance a person should know how to keep calm during the tough time. How to breadth if he is stranded in the water, and what strokes to use so that he conserves body heat and energy. He needs to know the right floating and swimming skills that would enable him to reach a point of safety without exhausting all his energy. During the lifeguard training and lifeguard certification course people are taught to recognize those in trouble at the beach. The beaches during the summer seasons are crowded, there are millions of people in the water and on the shore. It becomes challenging for lifeguards to distinguish between people who scream, shout, shake and wave out of enthusiasm and excitement, and those who do the same out of desperation. Surveillance skills teach lifeguards how to detect when a person is in trouble and he is calling for help. During the summer time the heat is intense, the beaches are jammed packed with surfers, swimmer, and sunbather. Lifeguards tend to feel hot and sweaty and because they are continuously stationed at a certain position, they also feel bored and thirsty. The lifeguard training and lifeguard certification courses teach people how to resist and overcome those feelings, and how to concentrate on their duties despite all the distractions. Techniques like going on foot for a short survey and swapping stations with a co-worker refreshes the person on duty and keeps him motivated. 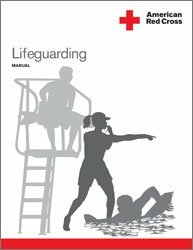 A lifeguard should know how to rescue people i.e. how to get them out of the life threatening traps and how to bring them to safety, to do that the lifeguards should follow the mentioned steps. Every beach patrol has a strategy that it implements in times of needs, a lifeguard should declare an emergency so that he can get the help he requires to carry out the rescue operation. A lifeguard should know how he’d enter the water, whether he would swim in straight, dive or simply walk in. There are different ways in which one can get into the water, it varies from situation to situation. A lifeguard needs to come close to the victim so that he can help him out. The lifeguard needs to take the victim out of the disastrous situation he’s stuck in. He also needs to move the victim to safety. If a person stays in the water for a prolonged time period he tends to feel agitated, therefore, it is the foremost priority of the lifeguards to get the victims to land even if it means seeking comfort for the time being on a small creek or an inland that is surrounded by water. It is best to get the victim straight to land but if that is not possible it is in the best interest of the victim and of those who comes to his rescue to seek refuge on a piece of land which is the most accessible. A victim who is rescued could need medical attention, many times people feel emotionally distressed and they need someone to pacify them. Lifeguards are trained to provide first aid to the injured and to give them moral support so that victims are able to regain their strength and energy as quickly as possible. Lifeguard training and lifeguard certification is a part of an emergency training program that comes in handy not only at the beach or near the water but in any situation of an emergency.